By the time incoming freshman Vanessa dellaBitta ’14 set foot on campus in 2006, she was already battling a drug and alcohol addiction. What’s worse, the vibrant, scholarly Massachusetts native suffered in secret, privately juggling the normal growing pains of college with the all-consuming effort to get and stay sober. Today dellaBitta knows she’s not inherently broken, and that she’s far from alone. Almost a quarter of college students nationwide meet the medical criteria for substance abuse or dependence, yet 37 percent of them fear seeking help because of social stigma, according to the National Center on Addiction and Substance Abuse (CASA). Students like dellaBitta aren’t the only ones who lose out; the Center for Substance Abuse Prevention says 40 percent of student-attrition cases involve substance abuse, resulting in $1.2 million to $4.3 million in lost tuition each year. “The money we lose is pretty staggering, not only as an institution when students leave because of addiction, but we also lose out on gaining students when we don’t have something here to support them,” says University Housing’s Laura Strimpel, who today serves as co-adviser for a newly registered student organization called Live Free — Student Wellness and Recovery. Although not limited to those facing substance-use disorder, Live Free was founded by dellaBitta, Caroline Miller ’04, and a handful of other students in long-term recovery who were seeking a safe, supportive environment on campus. Since its formation in 2013, Live Free has become part of a larger effort to create locally what’s known nationally as a collegiate-recovery community, a movement now pollinating 139 schools across the country. In such communities, campuses have designated residence halls, centralized meeting spaces, and paid staff support to model “visible” recovery from drugs and alcohol. UW-Madison isn’t there yet, but it could be. Van Orman has adopted that perspective because recovery isn’t the sort of thing where you can take a pill, or a class, or attend a few meetings and you’re cured. It requires a complete lifestyle change within a supportive environment. College is hard enough; when your peers seem to be partying as hard as they’re studying, sobriety can feel lonely at best and impossible at worst. 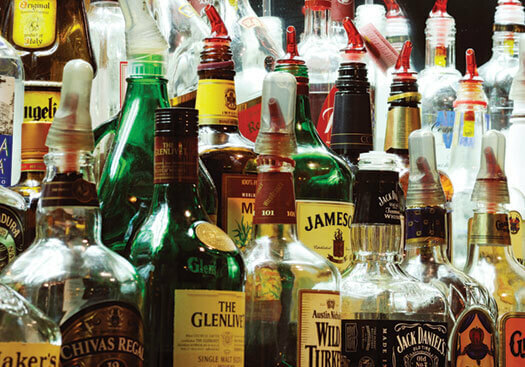 Although the issue affects students nationwide, UW-Madison’s reputation for binge drinking alone can serve as an insurmountable deterrent for those seeking recovery. But it doesn’t have to be that way. “Many students who want to come to UW-Madison, who are in recovery, that’s terrifying for them,” says Krystle Gutting, assistant director of Connections Counseling, a privately owned certified drug-and-alcohol treatment provider. UW–Madison contracts with the company to provide its substance-use screening initiatives, such as BASICS (Brief Alcohol Screening and Intervention for College Students) and Choices About Alcohol. In many ways, although nobody knew it at the time, Madison’s collegiate-recovery movement began back in 2005. Just a few months before dellaBitta arrived on campus, another eighteen-year-old recovering addict, Aaron Meyer, was killed in a car accident. Before his tragic death, Meyer was rebuilding his life. He had completed treatment, was graduating from Horizon — Dane County’s only recovery high school — and regularly attended Connections Counseling. He felt excited to move out of his parents’ house and in with a group of guy friends who were also in recovery, but he never got that chance. After his death, with donations and community support, Aaron’s dad, Tom Meyer, his mom, Cathy, and a volunteer board opened Aaron’s House on East Gorham in 2007. The idea was to take your average-seeming, near-campus house and rent it to college-age men in recovery, four at a time, so they could live like everybody else. More than just abstaining from drugs and alcohol, Aaron’s House residents developed individualized lifestyle plans incorporating recovery meetings, work, and education. When the model both proved successful and seemed to fulfill a niche, three women — Live Free cofounder Caroline Miller, Heidi Hastings, and Elisabeth Lex JD’11 —created an affiliated women’s version, Connect House Sober Living for Women, which opened in August 2013. Impressed by both efforts, Ginger Morgan, director of residential community at Apartments on Library Mall, lobbied successfully to create Next Step Recovery apartments, which opened to renters in August 2014. Meanwhile, Meyer had learned about the nationwide collegiate-recovery movement and began collaborating with Van Orman and others at UW–Madison, along with members of Live Free, who are now in the process of trying to raise funds. In 2014, Live Free secured a $10,000 grant from Transforming Youth Recovery, then known as the Stacie Mathewson Foundation, specifically to help create a collegiate-recovery community. “There’s a huge need for it,” says Miller, adding that although Live Free currently only has about thirty members, Connections Counseling sees more than three hundred college students a year. “And that number is just increasing. I mean, they’re just seeing an incredible number of students,” she says. As more and more students in recovery are attempting to join mainstream college life, it makes sense that UW–Madison should expand its efforts to embrace them. “Here at the university, we’ve been more focused on the upstream issue of prevention and intervention, and it was brought to our attention that this is really a big movement all across the country,” says Amy Margulies, a counselor at University Health Services who was involved with the Madison recovery movement’s early meetings. Today, Margulies serves as Live Free co-adviser with Housing’s Strimpel. The challenge organizers face is that, without a central building or even a consistent meeting space, many students who need a collegiate-recovery community probably can’t find it, if they even know about it. While it’s critically important that these efforts are student led, there’s only so much students can do — particularly students in recovery. “That’s why trying to find a space on campus that we can call a home specifically for this group — it’s emblematic of a larger embrace from UW and from the campus community,” says dellaBitta. “To have something on campus would make me feel like, ‘Hey, I can be a well-rounded student. I can have a healthy college experience regardless of this other part of me.’ And I think being able to see that would just be amazing for students like me.” It’s not that substance abuse is a new problem facing UW-Madison administrators, and it’s not like they haven’t answered the call across a wide variety of avenues. All incoming students are required to go through AlcoholEdu, which addresses alcohol use, consumption, and impact. Student organizations are not allowed to serve alcohol at their events, underage students are not allowed to have alcohol in residence halls, and there are some rooms in residence halls that are completely substance free. The “Sub-Free” Community also holds sober events on campus. Memorial Union and Union South staff are mandated to recognize and stop serving students of legal drinking age when they appear inebriated, and campus police ramp up their visibility the first forty-five days of each semester. 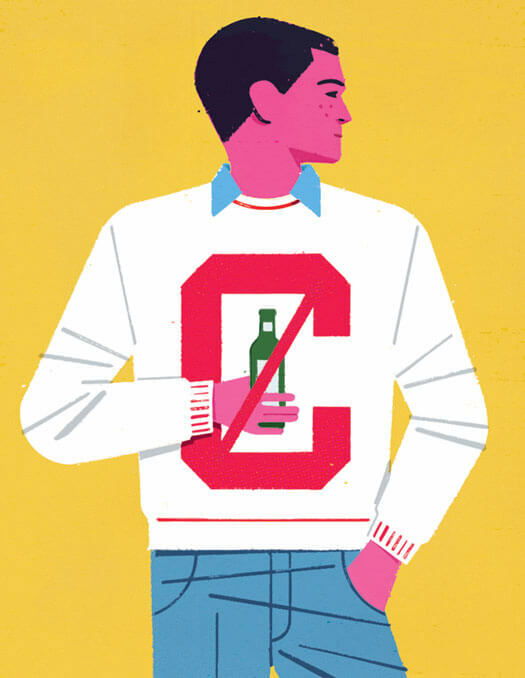 When students do get into trouble with alcohol or drugs, they attend Choices, BASICS, or CASICS (Cannabis Screening and Brief Intervention for College Students) — all contracted through Connections. Still, the collegiate-recovery movement has gotten the attention of many at UW-Madison, including Dean of Students Lori Berquam. Historically, says Berquam, students in recovery likely lived at home so they could participate in recovery programs in their communities. In fact, that’s why organizers want to create that same sense of community on campus — because it’s so critical to successful recovery. Strimpel points out that although the Sub-Free Community is a safe space for students who wish to abstain from alcohol and drugs for any number of different reasons, collegiate-recovery organizers want to build a program above and beyond simple abstinence. Strimpel says she “absolutely” fields calls from concerned parents and students about whether they can maintain sobriety while attending UW–Madison. “I’ve given prospective students tours of the designated substance-free areas, and because we don’t have trained support staff funded and allocated, we don’t have built-in support groups embedded within that particular community for recovery specifically … they felt like they could get better support on other college campuses that already have structured collegiate-recovery communities. I don’t disagree,” she says. Her comments are bolstered by a recent survey conducted by the Center for the Study of Addiction and Recovery that found that 43 percent of students in recovery said they enrolled in their university specifically because it had a collegiate-recovery community. Ultimately, a collegiate-recovery community provides a supportive environment, educational opportunities, accountability, and inclusion. It normalizes sobriety and serves as a beacon for those still struggling, and not simply out of a sense of charitable kindness or duty. If nearly a quarter of qualified students are unable to meet the potential that got them into a place like UW-Madison in the first place, Madison’s loss is unquantifiable. … in lost worker productivity, premature death, health care costs, criminal justice system costs, and motor vehicle crashes, according to a report produced by researchers at the UW’s Population Health Institute.